Get comfy, people, we’re gonna be here awhile. 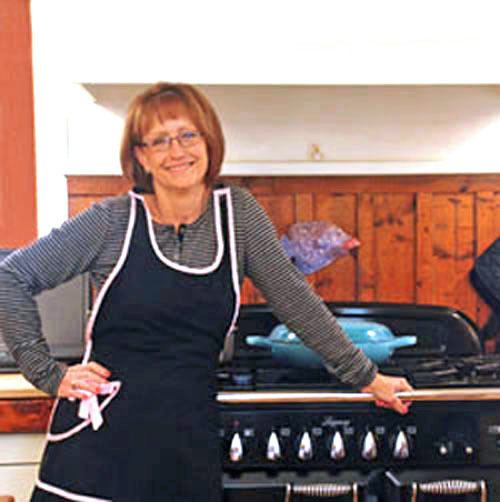 I’ll try to be succinct and not carry on overly much, but this is a cooking blog and sometimes cooking something extraordinary takes a bit of time. (And talking about it can take even longer). But in the end, if you hang with me (spoiler alert! ), I’m going to reward you with a very exciting, time saving idea. So perhaps, in the end, it’s all going to balance out. We’ll see. So firstly, we’re going to talk artichokes, which is a timely topic, seeing as how it’s spring and that’s when they like to show up. It’s also a nostalgic time for me coming as I do from the Central Coast of California and only a stone’s throw away from Castroville, the artichoke capital of the world. So needless to say, I have a soft spot for these thistle-y little guys. 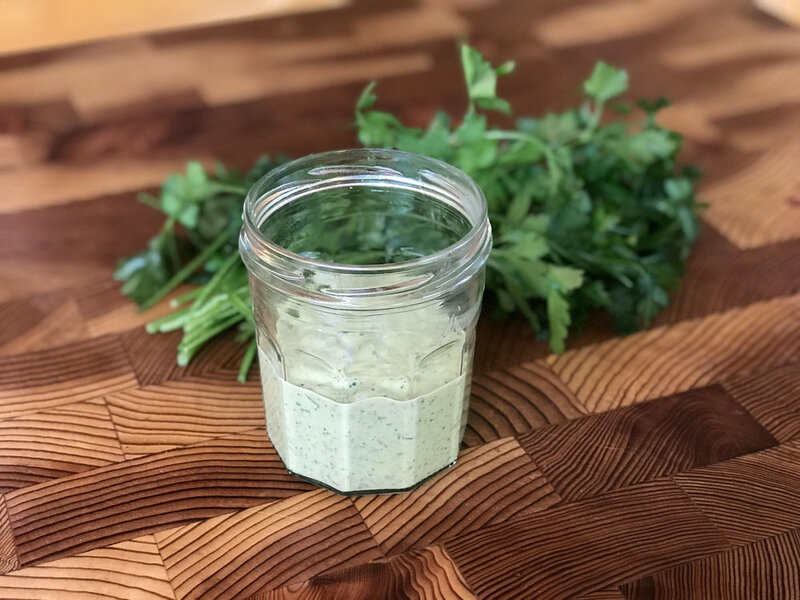 Having said that, I more often than not reach for a can of artichoke hearts for most recipes rather than buying whole artichokes and cleaning them down and messing with all of the fuss that entails. Whole artichokes are mostly reserved here for steaming and dipping the leaves in a little mayo. YUM. But now and then, there really is NOTHING like the REAL deal. 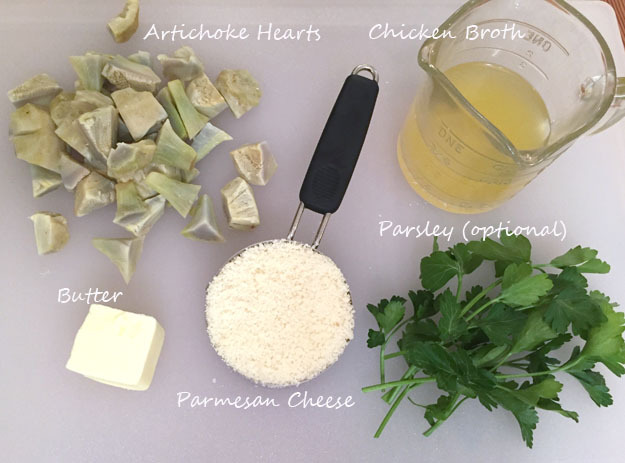 Yes, it’s a bit of work, but oh my dears, it’s just so worth it to treat yourself to an honest to goodness fresh artichoke heart cooked up in your favorite recipe. We’ll get to that later, but I thought maybe we’d go through the cleaning process so you can see that it’s really not that hard to do, and if you’re only cleaning 3 or 4, we’re talking just about 10 minutes worth of work. You’ll see, I promise. 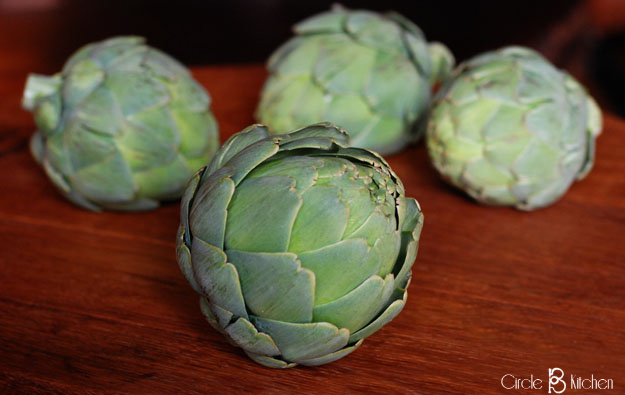 So we start off with our beautiful artichoke. The leaves should be tight and closed and it should be sort of heavy with few if any dark blotches on it. Then we’re going to peel off all of the outer leaves until we get down to the light yellow ones. 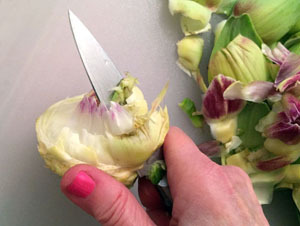 Then just cut off the top third or so of the artichoke and use a paring knife to begin trimming off the remaining leaves. 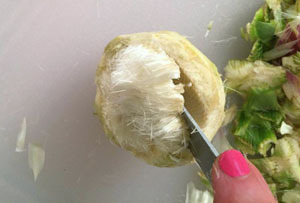 Then take the paring knife and trim the outer edges (remaining ends of the leaves) until you reach the heart and the furry center, or choke is exposed. 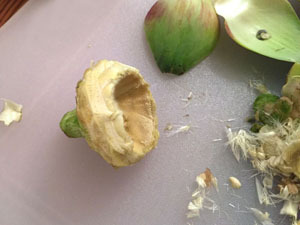 Not shown, but also pare down the woody outside of the stem. 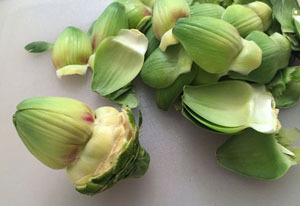 Now you have just the heart left and you can cut that into quarters and place them in a bowl of lemon water to keep them from turning brown on you. They're still going to turn brown, but maybe not as much. Now you have your artichoke hearts all cleaned and you're feeling pretty good about life and ready to make perhaps the best risotto known to mankind. In my humble opinion. 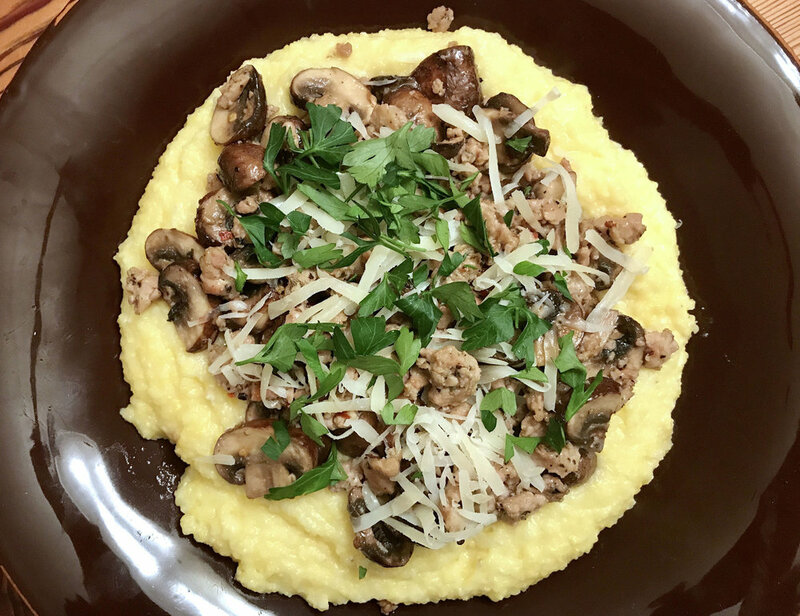 So here's a little backstory on this incredible risotto... A few years back, the husband and I were hanging out in our Western Headquarters and about to head to the farmers market to gather a few things for dinner. Then the Husband gets the bright idea that he's just going to go by himself and pick up some ingredients of his choosing, bring them back and I'm going to have to go all "Chopped" and create a meal with whatever mystery ingredients he brings back. I would also have access to the Circle B Kitchen West pantry and fridge. Alrighty then! Game on!! To be honest, I don't remember everything that was in that basket, except for some fresh, beautiful artichokes and some beers. 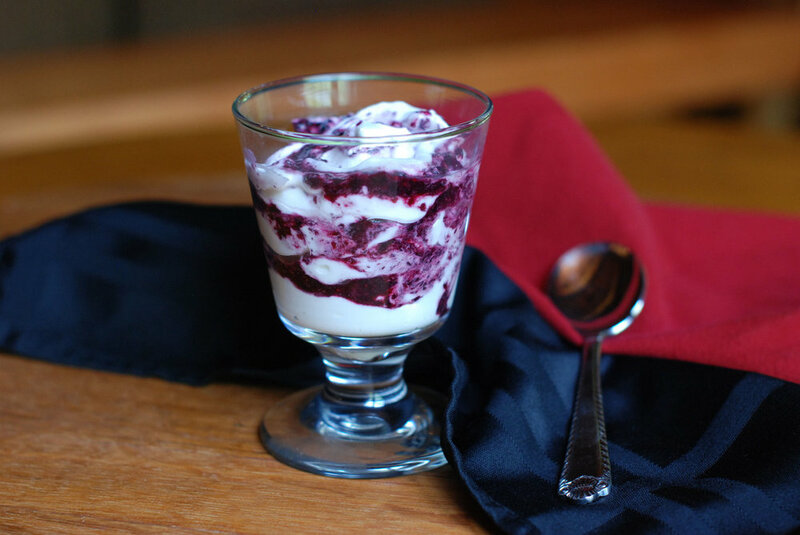 I think there were also some fresh berries that I used to make dessert, and probably a few other things. 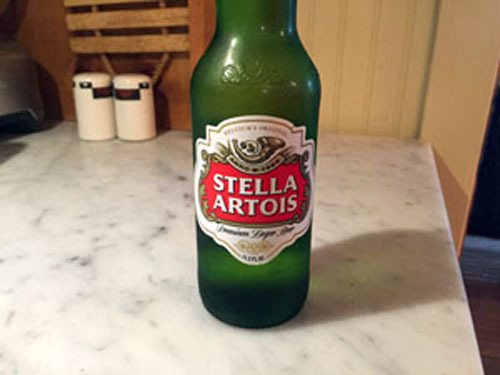 But what I do remember was cleaning those artichokes and making risotto and using the beer as a sub for white wine, which is more of a standard ingredient in risottos. I don't know, it turned out so danged good. Thank goodness there was no clock running, because if you've watched that show at all, risotto in 30 minutes is usually a disaster. But not this one. No sir, this was some incredibly good, no, awesome, risotto and to make it up to you for having to clean those artichokes, I'm going to let you skip all that stirring and ladling and tending that normally accompanies risotto preparations. You've earned this. 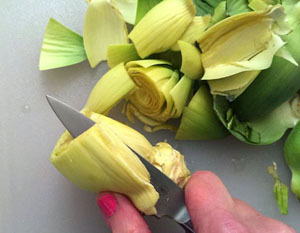 But firstly, you're going to cook your artichoke slices and create a lovely broth that will lend incredible flavor to this risotto. Then just chop them into nice, bite-size pieces. 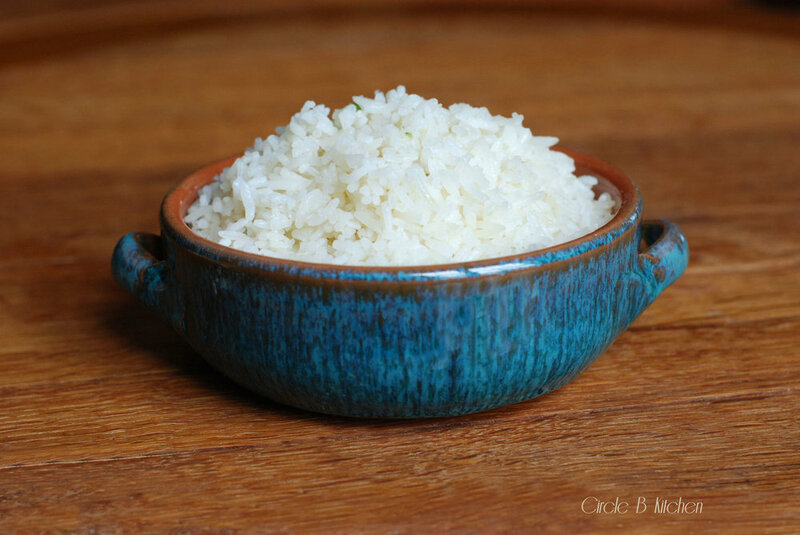 Then before we start our risotto, we have to talk about the rice. I told you we were going to be here awhile. Not just any rice will do for this. 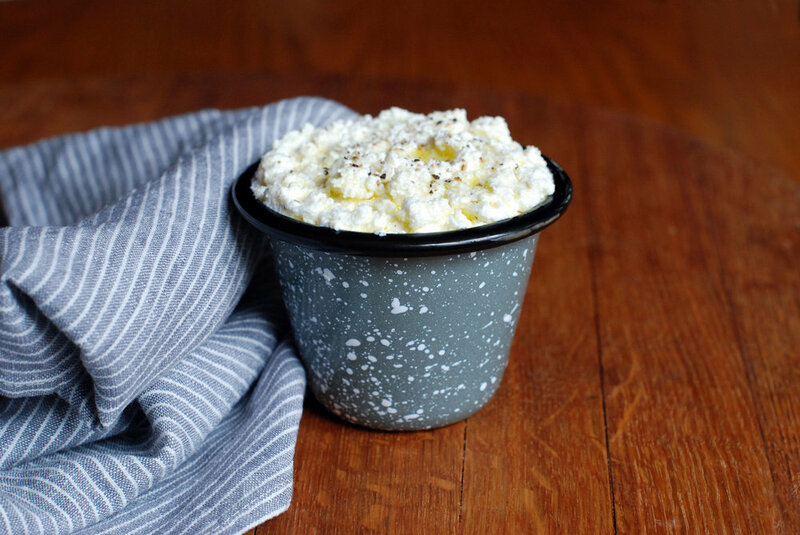 We have to use a nice, starchy rice that will create the creamy, dreamy risotto we're after. 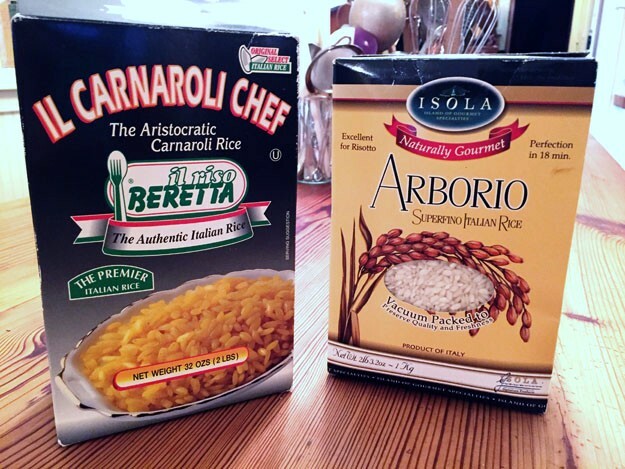 There are 3 choices for this kind of rice... carnaroli, vialone nano and arborio. The arborio is the most common in our stores so that's what I used. 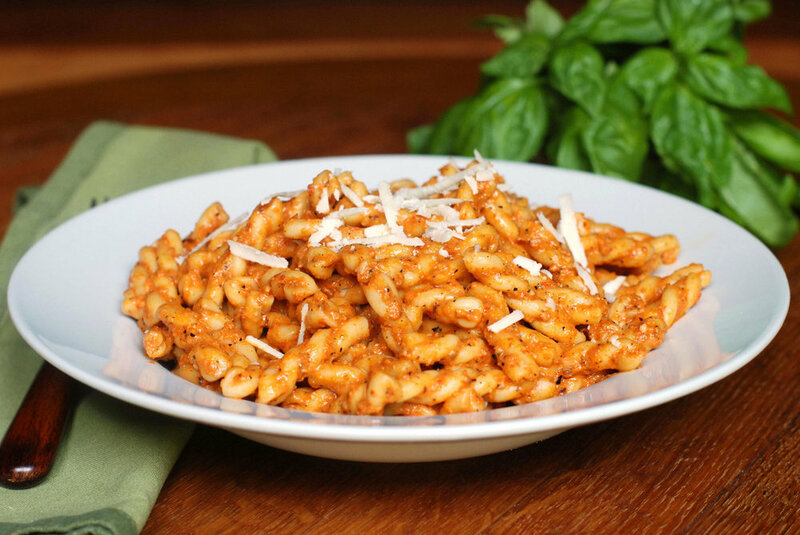 The carnaroli rice is probably the best in terms of creating creaminess, but in some ways I prefer the arborio because it breaks down a little more than the others, which I think makes for the dreamy part. But any of them would be great in this. and when that cooks down, you're going to add your broth, all at once, and then (yay!) put a lid on it and stick it in the oven for like 25 minutes. As I promised... no ladling, no stirring, no tending or fussing. The oven is going to do all the work for us here. How cool is that?! Then we're going to remove it from the oven, and stir in the artichokes, parmesan cheese and butter, and more broth as needed to create the perfect level of creamy lusciousness. And that's it! 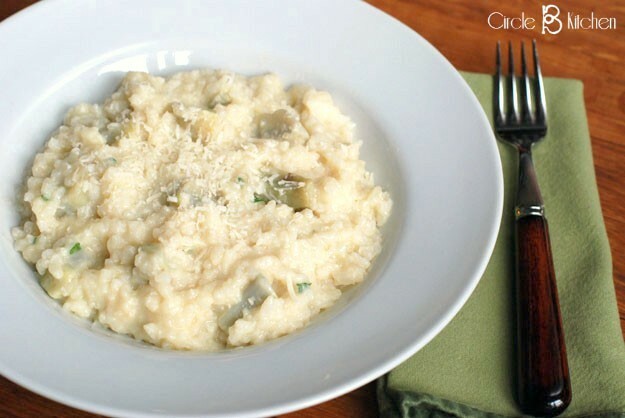 Creamy, dreamy artichoke risotto. No kidding. P.S. You may be interested to know that this is also quite scrumptious with a whole bunch of grilled shrimp stirred in at the end. Oh my. Contrary to the rumors, making risotto is not difficult or tricky, and this recipe makes it even easier. 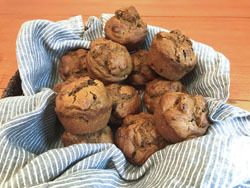 No standing over the stove and stirring; it all just gets thrown in the oven to bake until creamy and luscious. Your final risotto should be a bit loose and creamy, not runny or stiff. 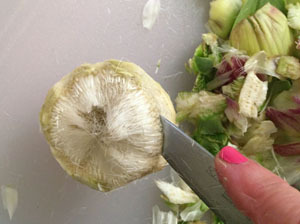 If you're unsure about cleaning the artichokes, you can refer to the pictorial on the blog post. And feel free to add bits of rotisserie chicken for a heartier dish. Fill a medium bowl with water and stir in 1/4 cup lemon juice. 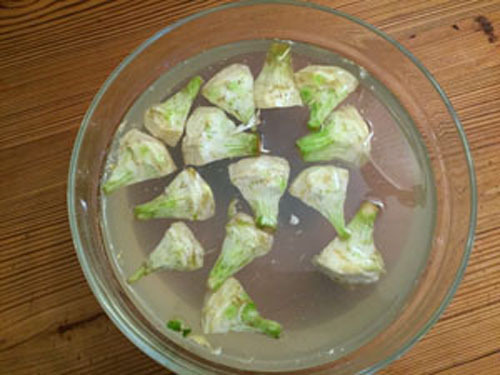 As you clean the artichokes, cut the cleaned hearts into fourths and place into the lemon water. This will keep them from turning brown. Bring 2 cups of water to a boil. Add ½ tsp salt, 1 tablespoon of lemon juice and a tsp of olive oil. 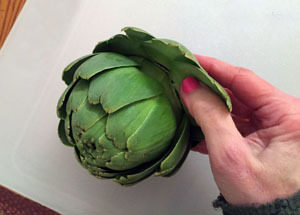 Place the artichoke hearts in the water, reduce the heat to a medium simmer, and cook until tender (about 10 minutes). 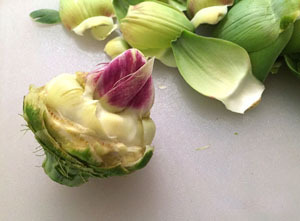 Remove the artichoke hearts and reserve the cooking broth. When the hearts are cool enough, cut into ½ inch chunks and set aside. Saute the onion in the olive oil until soft (about 5 minutes) and then add the rice. Sauté until the rice for a couple of minutes until heated through and add the beer. Stir until the beer is absorbed by the rice (about 4-5 minutes). Add the reserved artichoke broth, 1 ½ cups of the chicken broth and ½ teaspoon salt to the pot and bring to boil. 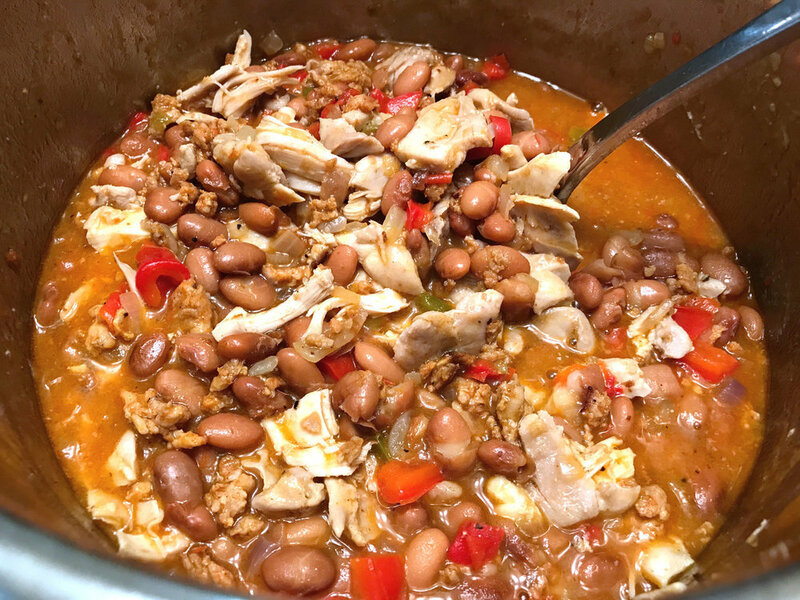 Cover tightly and place in the preheated oven. 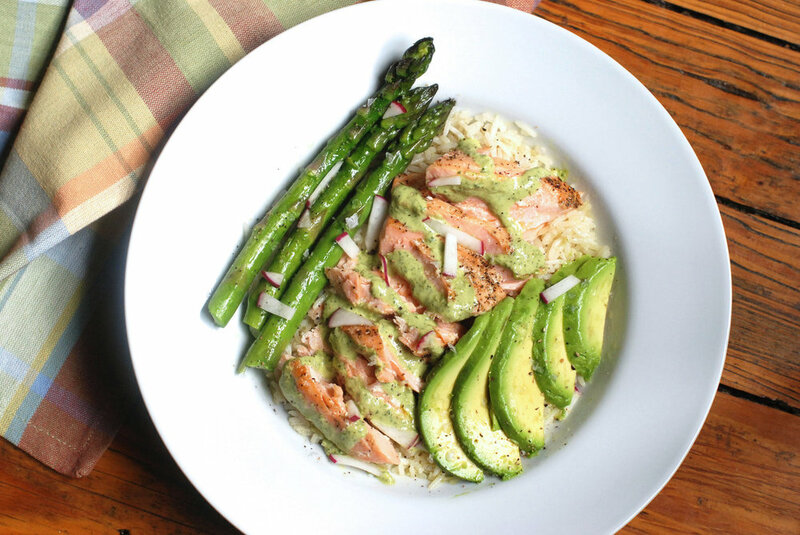 Cook for 20 to 25 minutes and then remove from the oven. Stir the rice vigorously, adding more chicken broth as needed to create a creamy texture. 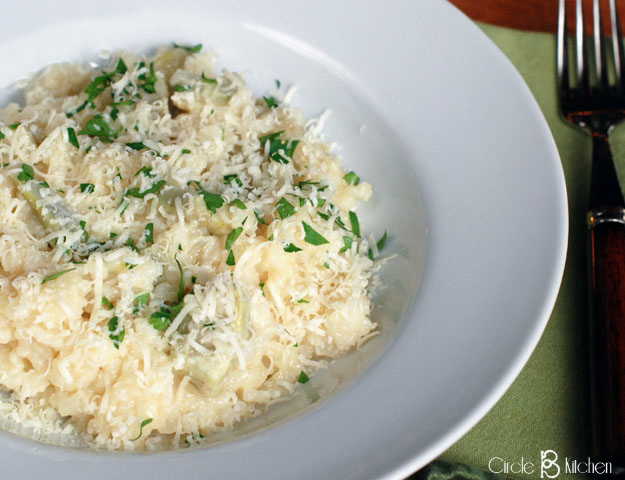 Stir in the artichoke hearts, parmesan cheese and 1 tablespoon butter. 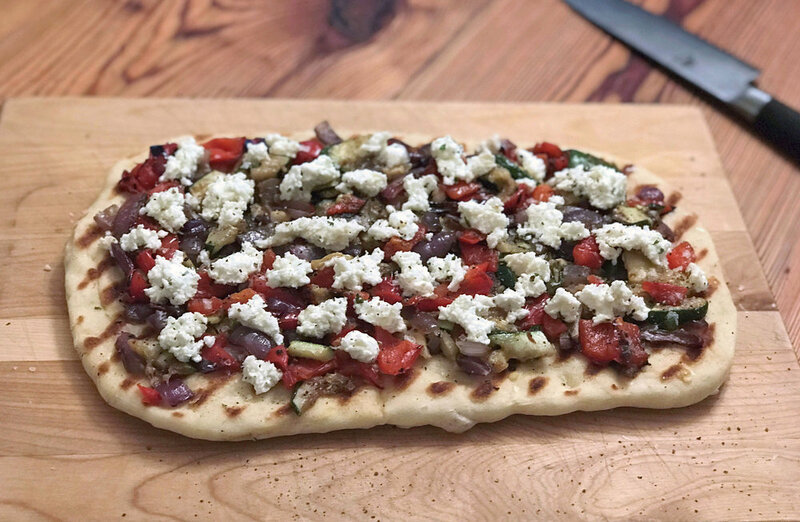 Taste for salt and pepper and serve immediately with extra parmesan cheese and a drizzle of olive oil.